How many of you grew up wanting to become a recruiter? If you are like 99% of the recruiters I have asked this question (including me) the answer is NO! But somehow, some way . . . you probably “fell” into this profession with little to no structured education and training. In 1993, I was tasked with growing a team of recruiters charged with filling the hiring needs of a fast growing .com organization. I became frustrated that I could not find experienced, trained recruiters and/or a solid education program to develop my own staff. 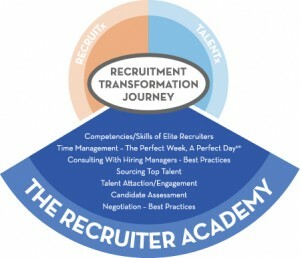 From that day, I began developing our legacy Recruiter Academy Certified Recruiter (RACR) Program and recruiter training curriculum by researching the best practices of Elite recruiters and experts in the fields on behavior modification, personal achievement, assessment, negotiation, time management, continuous improvement and Lean/Six Sigma principles. 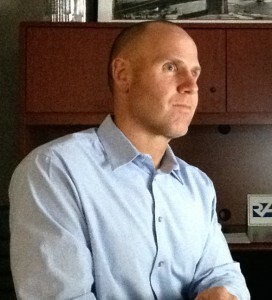 In 1998 I founded Lean Human Capital and The Recruiter Academy. Over the past 17 years, my team of Certified Trainers and I have worked with recruiters from around the world and spent thousands of additional hours researching and testing Best Practice recruitment methodologies, tools and techniques during that time. Through these efforts, we have created our renowned Recruiter Academy Certified Education Programs for both Recruiters and Recruitment Managers. From day one . 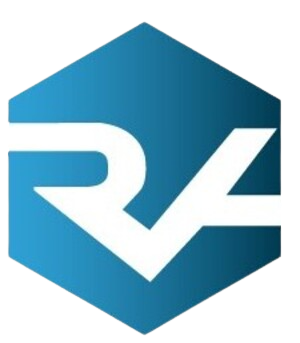 . . our goal has been to create programs designed to educate recruiters of all levels and to provide a robust structured education program that most recruiters did NOT receive when they entered the profession. There are no colleges offering a bachelor’s degree in recruitment. Our programs bridge that gap in the marketplace.